The scientific objective of the AutoUniMo project is a fusion between emerging research areas (RA) in engineering like Component Based Automation (CBA), Virtual Factories (VF) and advanced IT methods like Data Mining (DM) , Artificial Intelligence (AI) and Multi-Agent Systems (MAS). Researches will be conducted in Manufacturing Execution Systems (MES) applied in short series production, Advanced Driver Assistance Systems (ADAS) and control systems dedicated for energy efficient production in automotive. Goal: Proper identification of patterns and data structures available in production systems will allow to find more efficient ways for converting raw materials into useful goods within given industrial production process. AutoUniMo consortium gathers academic and industrial partners for which modern methods used in production systems are the critical path of their activity. Industrial partner Continetal is recognized by drivers as a tire manufacturer, but few people know that it is also an important producer of automotive electronics. Conti Temic microelectronic GmbH (CONTI) is specialised in design of advanced sensing and control devices for automobile. CONTI cannot get a sustainable position on the automotive market without effective informatics system that supports the short series production. Industrial partner AIUT is SME company that supplies machines and systems for automotive production. AIUT cannot operate in a highly competitive environment without advanced engineering solutions which not only fulfil functional requirements of the customer but also ensure the efficient production. Nowadays, cheaper sources of raw materials and availability of cheaper labour cause that automotive production moves from Europe to the developing economies. European automotive manufacturers are beginning to lose their advantage. This causes negative impact on the European economy and reduces the number of employees associated with automotive industry. AutoUniMo academic partners will help to solve these problems by applying modern engineering and informatics methods that will support industrial partners in their critical paths defined above. Institute of Informatics, Silesian University of Technology (SUT) has advanced research activity in Data Mining and in Artificial Intelligence areas. Hochschule Ingolstadt, Faculty of Mechanical Engineering (HI) has large experience in the automotive industry, supported by many realised research projects with main focus on automotive industry. 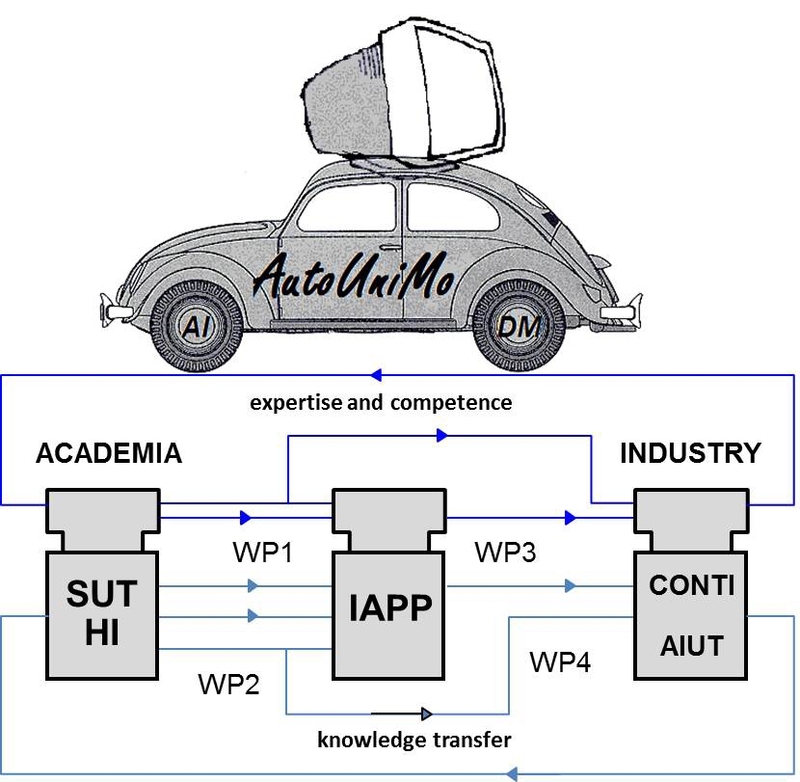 AutoUniMo consortium will assemble two European academia partners which conduct research on automotive engineering (HI) and informatics (SUT) with two European industrial partners with main focus in automotive. AutoUniMo consortium will assemble two European academia partners which conduct research on automotive engineering (HI) and informatics (SUT) with two European industrial partners with main focus in automotive area. Existing local research cooperation: SUT – AIUT and HI – CONTI will be expanded into international knowledge and expertise exchange SUT – CONTI and HI - AIUT which will able to fulfil knowledge gaps in complementary research areas. Although the main point of gravity will be automotive area but planned broad result dissemination activities will enable to use the output of AutUniMo’s methodologies and tools in other branches of European industry.